As I mentioned before, I’m absolutely loving my Amazon Echo, and am addicted enough to reliable voice input to have added an Echo Dot in my home office. Probably my favorite use is the Todoist integration that lets you add tasks both your To Do list and your Shopping List into Todoist directly simply by speaking to Alexa. Now in where I live in Hexham (in North-East England), "going shopping" generally means going to one of the two main supermarkets (Tesco or Waitrose), which luckily for my purposes are pretty close together. Therefore I had the brilliant idea of firing a location-based alert whenever I was near either of the supermarkets to remind me to check the shopping list in Todoist. I was half-considering writing my own simple iOS app to trigger the location-based notification, but then realised that IFTTT has got the facility to do precisely this! 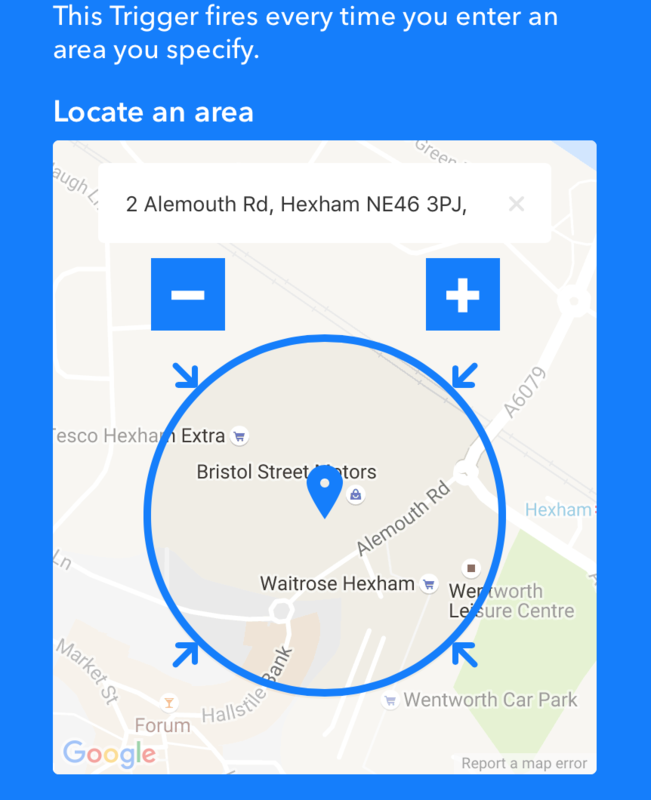 Create an IFTTT applet that triggers at a specific location (i.e. near the supermarkets), and when it does send me an iOS notification reminding me about the shopping list. In an ideal world, I could set the action on the notification to open Todoist in the ‘Alexa Shopping List’ project directly, but maybe IFTTT will enable that in the future? All in all, clearly this whole Heath Robinson system is slightly over the top, but it works very well for me!